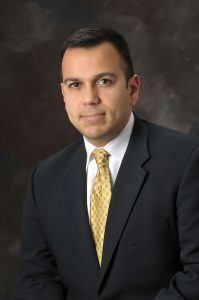 KMA member physician and state Senator Ralph Alvarado, M.D. has been selected by Governor Matt Bevin as his candidate for Lieutenant Governor. Gov. Bevin is seeking re-election in 2019. Alvarado, of Winchester, was elected to the General Assembly in 2014, becoming the body’s first Hispanic member. He is the current chair of the Senate Health and Welfare Committee. A former KMA board member, Alvarado was one of two recipients of KMA’s inaugural Advocacy Award in 2018. He received the award in recognition for his work in public health, protecting the physician-patient relationship, and healthcare finance. During the announcement made at the State Capitol Rotunda on Friday, Jan. 25, Alvarado stated that he was “honored and humbled” to be asked to serve as Gov. Bevin’s running mate.